As a pet owner it is up to you to put a tick prevention program in place to give your pet every chance they have of being safe during tick season. Knowing all the dangers, spotting the signs and using the right tick preventative treatments as well as daily searching is a combination that will have a good chance of keeping ticks away. Paralysis ticks are deadly creatures and one of the most dangerous threats that our pets are faced with each year. It is crucial for all pet owners to read month's article to find out everything that is needed to know about avoiding the deadly dangers of the Paralysis Tick. Read the full article on how to avoid the deadly dangers of the Paralysis Tick now. 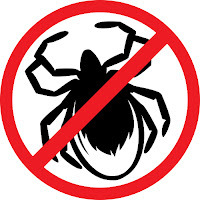 Check out our entire range of tick preventatives.